If you use Daraz, you are constantly bombarded with messages about ‘amazing’ deals and offers in Daraz. So this new year’s deal may not be anything exciting for you (maybe you will change your mind once you read this article). But for people who are not that used to e-shopping, this new year might be the perfect time to delve into it. 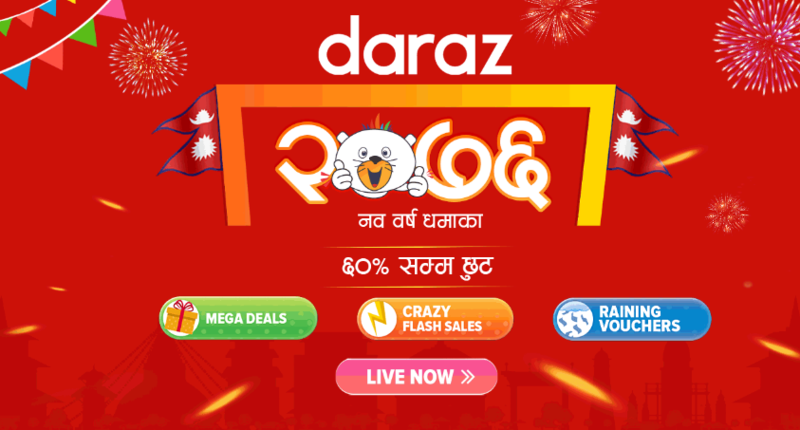 Daraz is celebrating this new year with massive discounts and vouchers and flash sales. This “New Year Dhamaka” scheme will last from 10th April to 17th April (27th Chaitra to 4th Baisakh). During the week-long campaign, Daraz promises its customers discounts of up to 60% on top brands like Samsung, Xiaomi, Sony, Adidas, Reebok, L’Oreal, Clovia and more. The offers are not just limited to electronics and fashion, it will be available throughout Daraz in nearly all product categories. 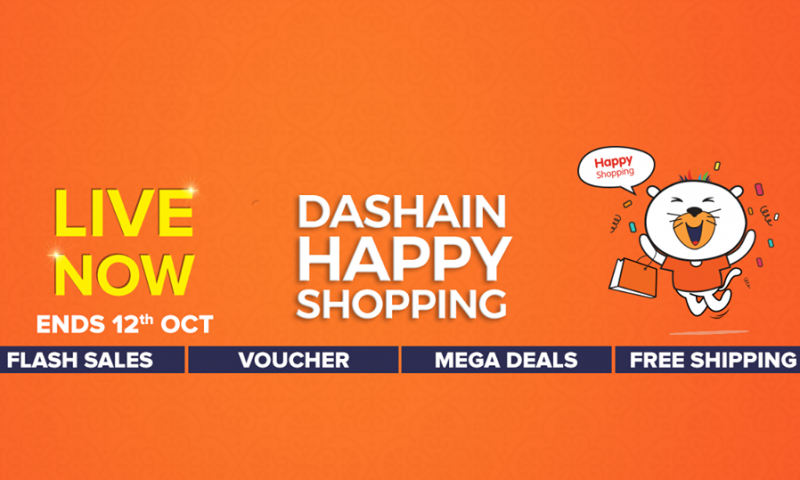 Daraz is also giving away a number of vouchers such as Crazy Vouchers worth a maximum of NRs. 4,000 and Mega Vouchers worth Rs. 5,000. These vouchers will be applicable site-wide, regardless of the type of items they purchase. You are eligible to use the Mega Voucher if you buy a product above 40K. There are different price tiers for the Crazy Vouchers. You get 400 off for purchase worth 3000, 600 off for 5000, 1000 off for 10000, 2000 off for 20000, 30000 off for 30000, and 4000 off for 40000. Daraz hasn’t specified other vouchers for prices higher than 40K. 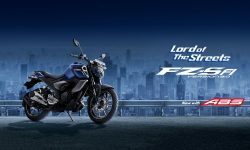 There are deals which Daraz calls ‘Mega Deals’. These are basically the deals that Daraz thinks will wow the people the most. There will be a banner on top of a product saying “Mega Deal” if the product belongs to the Mega Deal category. 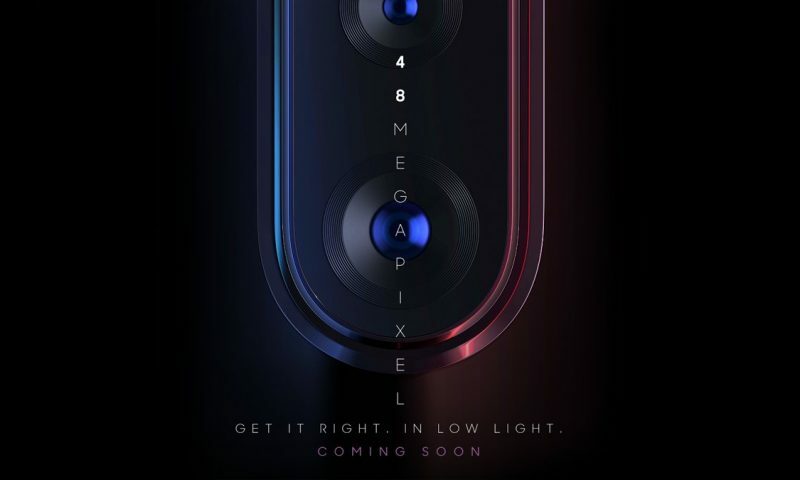 There will also be Crazy Flash Sales held at specific timings with huge discounts on products like clothing, cameras, phones, electronics, beauty products, and more. 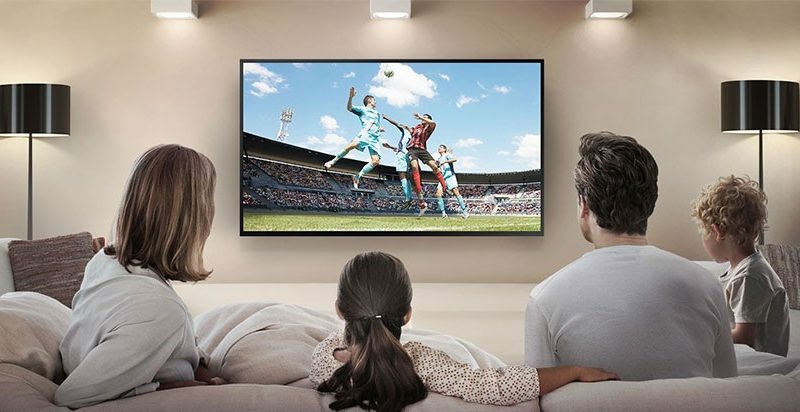 With the New Year Sale, customers can also win goodies with Daraz Mystery Box and also an opportunity to participate in a lucky draw to win a Videocon 32″ Android Smart TV. Another thing that Daraz is doing is a program called “Shake that app”. I would suggest you read our other article on this program. But what it basically is is a way to collect vouchers. If you shake your phone while keeping Daraz app open on specific time during the day, you will receive surprise vouchers from different brands that you can use while buying goods from that brand. This ‘game’ went live on 8th April and will last to 12th April. You can use the Vouchers collected from 10th April to 17th April. Daraz is also offering free delivery on orders of Rs.1,000 and above on Dmart products during the campaign. There is a lot going on in Daraz right now, so head over to Daraz’s site and forage for deals that you like. 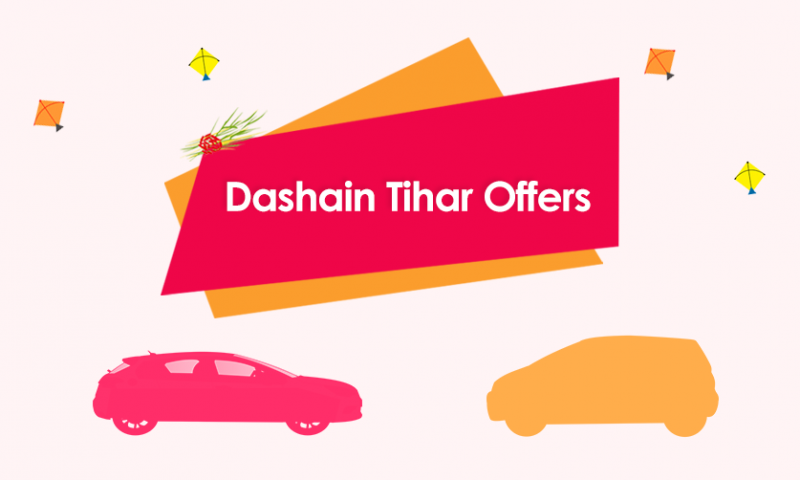 For even more details, visit Daraz’s New Year’s deal page. And for the best experience, always use Daraz’s mobile app. That’s the only place where you can find shake that app and other vouchers.